For those looking to find a homestay in a serene village of Uganda, this should lead you the local home of your dream. Personally, I love staying in homestays during all my travels. This year it was my first visit to Uganda to explore the pearl of Africa. I was destined to trek the Rwenzori mountains in western Uganda, as the beginning of my longer trip to other parts of the country. While I was worried how to sort out the accommodation during my trip, I was also worried to travel alone in a new country that I almost had no clue about. My first search was done through friends who have travelled to Uganda. Unfortunately, none of them had trekked Rwenzori or even travelled that direction. From one friend I got very useful information about Uganda community tourism association (UCOTA), an umbrella organization for community tourism enterprise around Uganda. My friend used UCOTA for her trip in 2007 and seemed to be very satisfied with their services. This association runs community tours and lodging options almost close to every national park of Uganda, including Rwenzori mountains national park that I was heading to. It is through UCOTA that I found Rwenzori homestay. Finding this homestay was like light flow to me from heaven. I still had four months before the starting of the trip, by the time I got information about UCOTA and Rwenzori homestay. From that point on, everything started flowing so swiftly, clearing out my fears of travelling alone in a new destination. The experience was so good that I always wished the four months to the trip ran over in one night. The host, Mr. Alfred and Felex in UCOTA offices were so swift in responding to my questions. On the first day of contacting UCOTA, it took me one hour to be in touch with both UCOTA and Rwenzori homestay. By end of the next two days, after exchanging several messages on email, Facebook and WhatsApp, the trip was set and the invoice for my stay was already in my inbox. This increased my excitement about Rwenzori and gave me an impression that Rwenzori homestay was the place to be. Their level of patience and providing all answers was un comparable to any contact I have ever had during my travel life. All my intuitions about the homestay were right. As I write this now, I am back home. The trip to Rwenzori was very successful and I attribute this success to every effort of Rwenzori homestay more than to anyone else. Rwenzori homestay is worth adding on every trip to Uganda for whoever is going that direction. It is located west of Uganda, about 380km from Kampala. Rwenzori is situated 40km north of the famous safari haven, queen Elizabeth national park, making it easy to add to the wildlife safari. 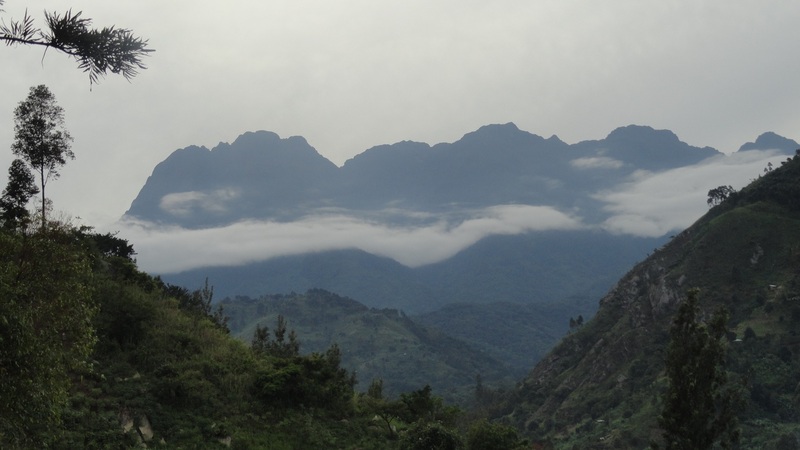 Even when one is not planning to trek the high mountains, the homestay introduces you to the village tours that show case the Rwenzori nature and culture quite extensively, enabling you to enjoy Rwenzori in one or two days then continue to your next safari destination. For Rwenzori trekkers, the home is suitably located just at the base camp and the family members will help you get your luggage to the starting point of the trek. The stay with the local family is worthwhile as you get to learn the local way of living from farming to harvesting, cooking and other local trades that people do to live. Longer stays can be better since you get to move around the village with family members to visit the neighbors and compare how different families live. The host, Alfred is quite knowledgeable of the are including Rwenzori mountains. My Rwenzori trek was easily organized by the family at no extra organizing cost. This gave me an opportunity to even trek like a local since I was already connected to the community members. You choose to share your meals with the family or sometimes you can prepare your own food to try your local kitchen skills. Availability of a large ground for pitching your tens makes it suitable for families and large camping groups that may choose to camp. Information about all the surrounding activities in the area including Rwenzori mountain trekking. It is an extended family with a good number of children, making it suitable for families who want their children to safely interact with the local children limitlessly. To visit the rest of Uganda after my Rwenzori trekking experience, I called back at UCOTA and they gave me a full list of other homestays around Uganda. With this list, I was able to complete by Uganda homestay exploration adventure. On the longer Uganda trip, I chose to stay at Tinka homestay near Kibale national park, Tuza homestay in Kisoro near mgahinga gorilla national park, Judith Rutaro homestay near queen Elizabeth national park and blue star homestay near mount Elgon national park. Each of these homestays were a unique experience with different feel though they were in the same country. Different tribes, foods, culture, environmental setting and activities to do. All these homestay accommodations give access to the least visited but most interesting parts of Uganda. 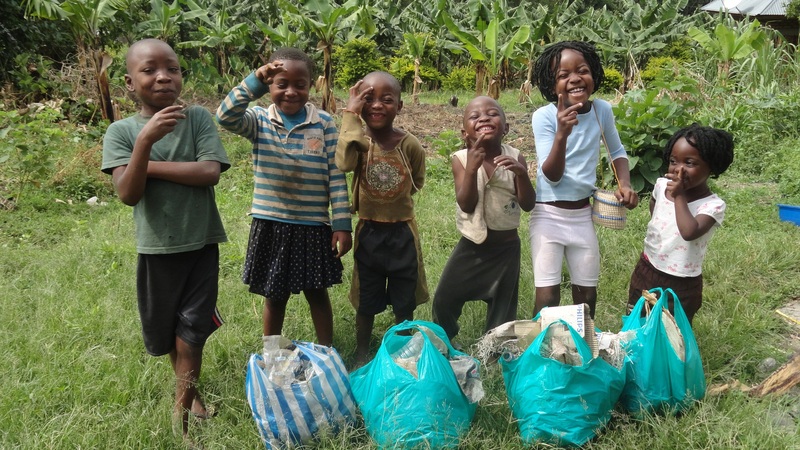 Moe information about them is well found at UCOTA and Rwenzori homestay. For those interested in visiting any of these accommodations can easily book through UCOTA or Rwenzori homestay on this website. You will definitely not regret your choice. Even though majority may visit Rwenzori homestay on their low land trip, without interest in trekking the Rwenzori mountains, my experience of Rwenzori mountains trekking trip is also worth talking about. I did the seven days central circuity trail. The trek took me through five camps in the Rwenzori up to the total altitude gain of about 2377m at Kitandara camp located 4023m above seas level (at the boarder of Uganda and Congo) The camping trek was organized by Ruboni community camp and I was surely well taken care of. The guide was well experienced and know what to do ranging from making good meals, interpreting everything and putting safety for the team and the environment first. By good chance, I used the same guide who had taken me to the community hill climb trek for acclimatization before the full Rwenzori trek. The hill climb took us up to 2400 meter above sea level at an elevation gain of about 760 meter in three hours. We also trekked with a ranger guide both to ensure security but also to do guiding services. Please note that for staying in any homestay in Uganda, prior booking is recommended. You can contact most of the homestay, especially the ones listed here, through UCOTA or this website. I hope you enjoy your trip to Uganda! !